Recent years have not been great for Eddie Murphy. The iconic comedian was once the king of Hollywood, but his later films experienced an obvious and jarring dip in quality. However, as we all know, Hollywood loves a good comeback story, and Eddie Murphy seems to have found his in a place where so many other great stories come from these days: Netflix. According to a new report from Deadline, it seems that Eddie Murphy has officially signed on for a role in Brett Ratner’s upcoming Netflix project, Soul Soul Soul: The Murray Murray Story. A mockumentary, Soul Soul Soul will chronicle the life of an aging soul singer named Murray Murray who gets his band back together when a contemporary rap group samples one of his legendary songs from 1962. Murphy's commitment to the project will reunite him with Brett Ratner for the first time since their 2011 action/comedy effort Tower Heist – one of the iconic comedian’s more watchable film efforts in recent memory. In many ways, the story of Soul Soul Soul could really mirror the career of Eddie Murphy himself. He’s one of the most profitable film actors of all time, but in recent years his presence as a force to be reckoned with at the box office has seriously come into question. 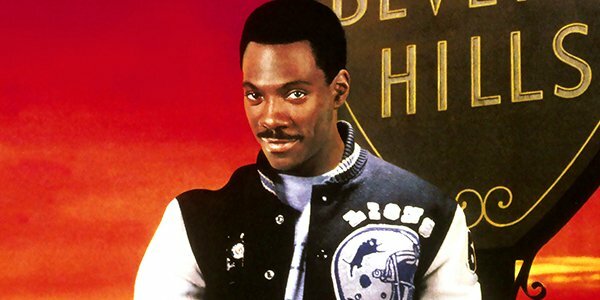 Unlike his earlier classics – Coming to America, Beverly Hills Cop, 48 Hrs. – his more recent movies like Norbit and The Adventures of Pluto Nash have been widely panned by audiences and created an immense blemish on his once-great resume. This new opportunity on Netflix could bring the Eddie Murphy that we know and love back to the world in a meaningful way. With Eddie Murphy signing on for Soul Soul Soul: The Murray Murray Story, it could mark a major turning point for his career. He’s got the comedic chops for the project, and he clearly has an understanding of the era and music, so let’s keep our fingers crossed that this movie plays to his strengths. We will bring you more information concerning Soul Soul Soul as it becomes available to us.